Caption this Photo! Please submit all entries to office@kingstonyachtclub.ca. Winners will be announced next week and will receive one bottle of wine! Please join us at Jemmett's Landing for a very informal weekend away. Our property is in great shape, firewood awaits for the campfire, and the water is wonderfully warm to swim and soak. Whether by road or by water, meet up at Jemmett's Landing on Saturday 13 August for good company, and a Pot Luck Dinner. Pitch a tent and camp if you wish. We will have a tender available should you prefer to be at a mooring ball. Let's fill the dock with member boats and spin a tale or two. Hope to see you there! Join the Greater Kingston Chamber of Commerce at our club for their first "Summer Mix n' Mingle", 4:30-6:30pm. Come out and reacquaint with business connections and get to know the Chamber! In an effort to expose our Club a bit further and create more emphasis on Boat Safety and water awareness we are looking to become a bit more involved with the Annual Poker Run which is held this year on August 20th and starts in Downtown Kingston. We are aware this is something a bit more out of the norm for our Club. Their event is under new management and they are looking to foster some long lasting relationships with local businesses. Looking forward, they are potentially willing to support (with funds) some of our sailing programs here at the Club (JS, ABLE Sail). For this year, we have agreed to be one of their locations for GAS, and in return they are asking for some of our Boats to be positioned up from the start line (as markers). We think this potentially could grow into a fabulous relationship, however we are taking small steps this year in order to "test the water". We are looking for 5 members to either volunteer a few hours in the morning of the 20th, in either your boat or in one of our Sharks to assist in this new venture. 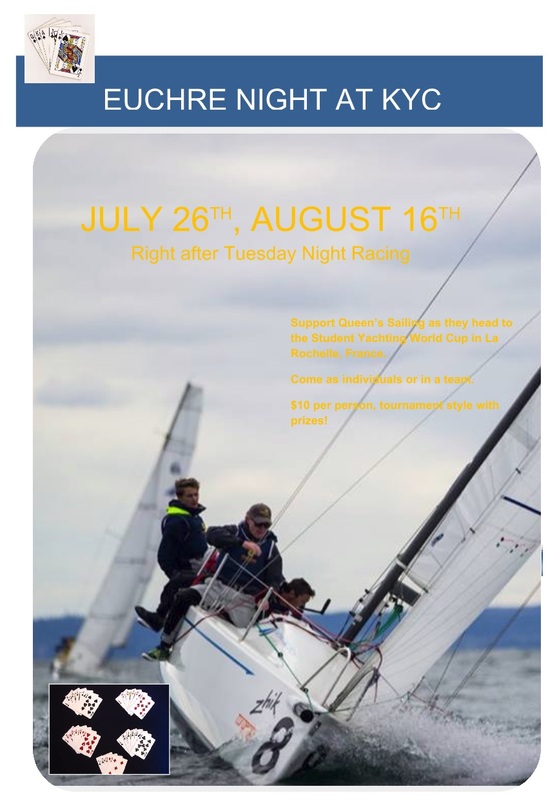 If you have further questions, please do not hesitate to contact Greg at manager@kingstonyachtclub.com. Sign up at the Junior Sailing School. Racing will take place every week except Monday August 1st, 2016. 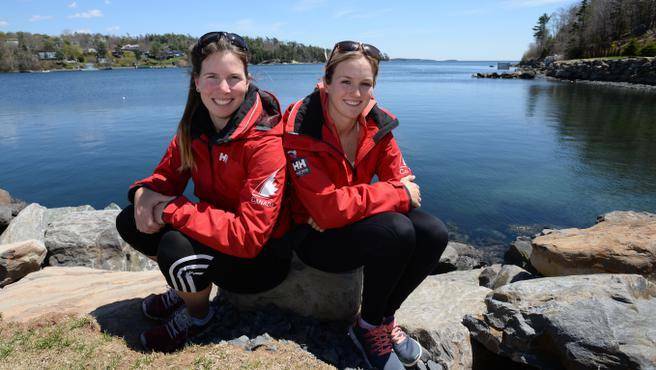 Well today was both successful and painful ‎for Canadian Rowing fans in Rio. The M4X were able to come second in their B Final but that hurt as they are much better than that. The W8+ advanced to the A Final on Saturday and both the M4- (11:27 am), W1X (semi final10:10 am) and LW2X (10:32 am) are in A Finals tomorrow. This is what all the work has been about and we have a shot at the podium for some of our athletes. The Boyds have arrived and we're last seen in the line up for diner. ‎We have met and keep on meeting lots of interesting people from far and wide. It is tiring to fight traffic and walk for kms to sit in the sun and scream like mad but most nights we go to bed early. Last night was an exception with a late dinner at a very swanky boutique hotel on a hill in Santa Teresa. ‎We enjoyed an afternoon stroll in the Botanical Gardens as a respite from the insane traffic and disorienting street layout. Did you know (you probably did) that the moon is in the northern sky when you are in the southern hemisphere? For racing updates, please visit our website for our most updated results.